Origin Access is expanding again, giving another ten games of value for your five bucks a month. Of EA’s impressive back catalogue, we’re getting more from Bioware in the form of Jade Empire, Crytek’s shooter trilogy and SimCity 2000, among other bits. One of our favourite FPS games ever making it to EA access here. Exactly when is more up in the air. EA haven’t said, nor have they mentioned whether it will be a one-day affair or a split launch over the next few months. 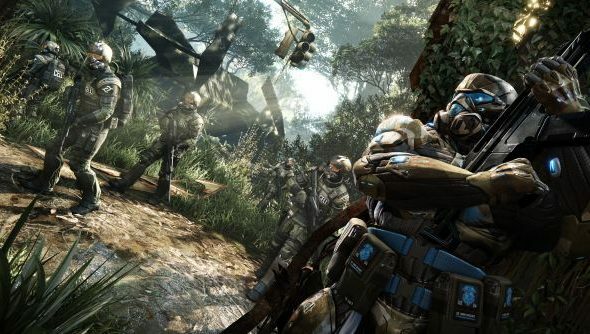 Chances are the Crysis trilogy won’t be split up, but the rest is anyone’s guess. Either way there’s more stuff on the way if you’re a subscriber, on top of Unravel and Need For Speed being made available this week. Any of you folks do so? I’ve been considering it to play the Mass Effects again, as our very own Kirk McKeand has been. I’ve never stayed sub’d to something like Netflix for longer than a month, but four pounds, as it is here in the UK, seems a good price for a month of gaming.